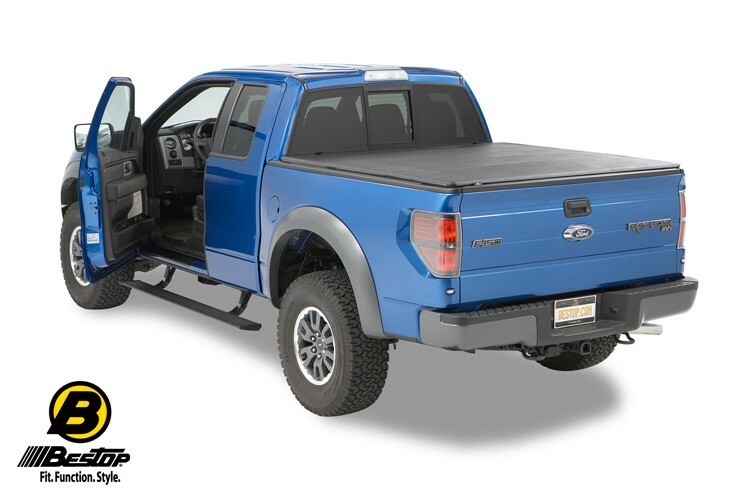 The Bestop PowerBoard is an automatic running board that hides underneath your truck when doors are closed and extends to meet your foot when the door opens. They are full length, and work with all doors; front and rear, driver and passenger. The PowerBoard step descends up to 6 inches, which provides a comfortable stepping height. All PowerBoards include bright LED lights, automatically lighting the PowerBoard when it's needed as well as a 3 year/36,000 mile limited warranty. Extends down automatically when door opens , retracts up when door closes. Hides underneath your truck when doors are closed for complete ground clearance Works with both front and rear door, driver and passenger. Complete kit includes two steps, wiring harness with controller, weatherproof motors, LED light kit and hardware. 6.25 inch extra wide step is made with extruded aluminum with an ultra-durable powder coat that features a non-slip textured surface. All PowerBoards feature an integrated light kit, coated fasteners to resist corrosion and a heavy duty, weatherproof, pressure sensitive , pinch-proof technology motor to assure safety and workability for years to come. Each PowerBoard can hold up to 600lb load capacity PER SIDE and have been climate and salt spray tested to operate in any climate. 3 year/36,000 mile limited warranty. 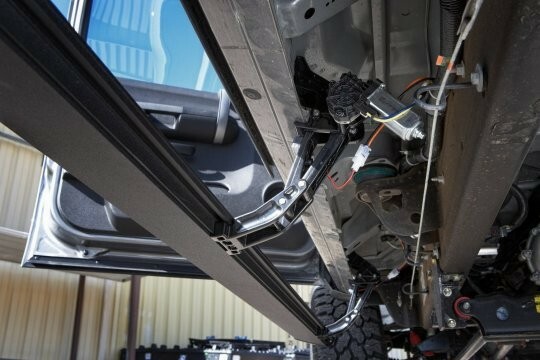 Extension arm is available to provide an additional 2 inches of height for lifted trucks. Manufacturer strongly recommends that this product be professionally installed. Failure to carefully follow the electrical installation steps could result in severe electrical shock which could harm the installer and/or damage the vehicle.